In an age when preventive medicine and inoculations have controlled children’s diseases, it is strange to recall that parents n the 1930s took children who had whopping cough to inhale the fumes from the gasworks at Mortlake. The efficacy of this cure is doubtful but the Australia Gas Light Company certainly came into the suburb in 1883 with its first purchase of land. Since those early days the company has increased its land holding to over 100 acres. Colliers carrying the coal for gas making from the Newcastle collieries were the main reason for the construction of the new Gladesville Bridge with is high arched roadway. The old bridge had to open and let the colliers through, causing frequent traffic delays on Victoria Road, one of main roads to the city. At one time Mortlake was known at Bottle Point, and it is thought that the suburb was later named Mortlake in memory of the place of that name on the Thames, in England. Many of the suburbs bordering Parramatta River followed this pattern, possibly from memories of home; even Governor Arthur Phillip succumbed to nostalgia and called Parramatta River “the Thames of the Antipodes”. The actual date of naming this suburb is obscure. When the Australian gas light Company first purchased land there in 1883, it was referred to as “Parramatta land opposite Gladesville”. A township grew up around the gasworks and in the 1920s an attractive park and swimming baths were situated on the river, and weekends and school holidays found it crowded with people from the surrounding areas. The pleasure ground has now disappeared, and with it the laughter of those lost yesterday’s at Mortlake. The gasworks also went out of operation with the introduction of natural gas. The gas works has succumbed to the wrecker’s ball and phoenix like a new village within a suburb of Breakfast point has arisen. Breakfast point is a self sufficient life style oriented conurbation with its own shops, Meeting Hall, waterfront Country Club and Village Green. The area consist of high standard units, large town houses, and free standing mansions many with water or city views. The industries that grew up around the gas works are now moving out and being replaced by generous housing. 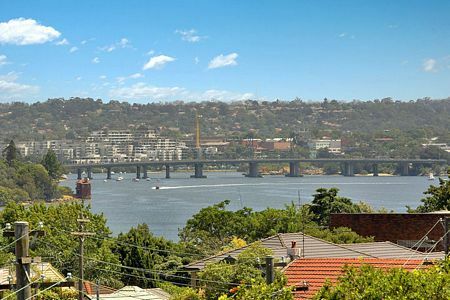 The suburb has lost its old working class routes and has become one of the Inner West’s most desirable places to live.